Looking for what to eat on your period for better energy, moods, and less breakouts? In this article I'm going to share with you what you can eat for easier periods! When it comes to our period, there are essential nutrients found in foods that can help us get through it with energy and ease. Choosing whole food versions of nutrients is a great way to ensure your eating a well-rounded, nutrient-dense diet to balance hormones and optimize overall health. Here are the top 10 best foods for your period! There is a direct association between the intake of high-sugar foods, sweets, desserts, coffee, sweet tea, excess salt, fruit juice and “snacks” and dysmenorrhea (painful periods), which is why I encourage patients to fill their plate with vegetables, healthy fats, high quality protein and color if period problems are their main concern. Making this simple swap will give your body the opportunity to rest and digest. There is a hormone loving recipe at the bottom of the post along with a few recipes sprinkled throughout this article. Menstrual cramps are often due to elevations in prostaglandins, which are hormone like substances that cause your uterus to contract. The can also cause your bowels to contract too, which is why some women experience period diarrhea. 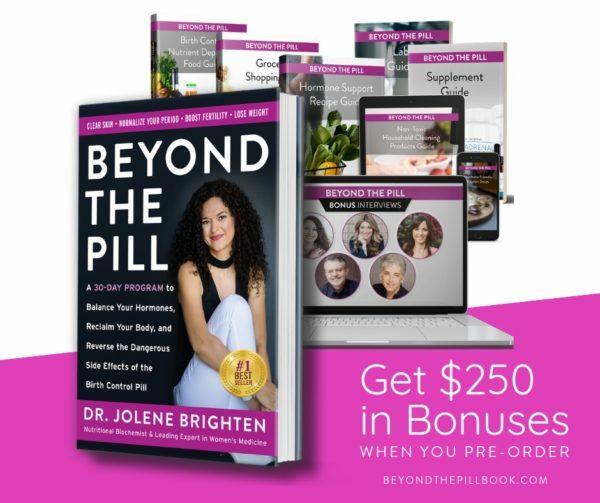 As I share in Beyond the Pill, eating foods rich in magnesium and omega-3 fatty acids can help harmonize prostaglandins and reduce period pain. Hemps heart are an incredible source of magnesium which is a supportive trace mineral that can help ease muscle cramping and twitching during your period. In just one serving (3 TBSP) of hemp hearts there can be as much as 197 mg of magnesium. This alone is 45% of the daily recommended value. You can have hemp hearts in smoothies, energy bars, seed cycle balls, baked goods and even make them into hemp milk! Just blend ¼ cup hemp hearts to 4-5 cups of water and enjoy! 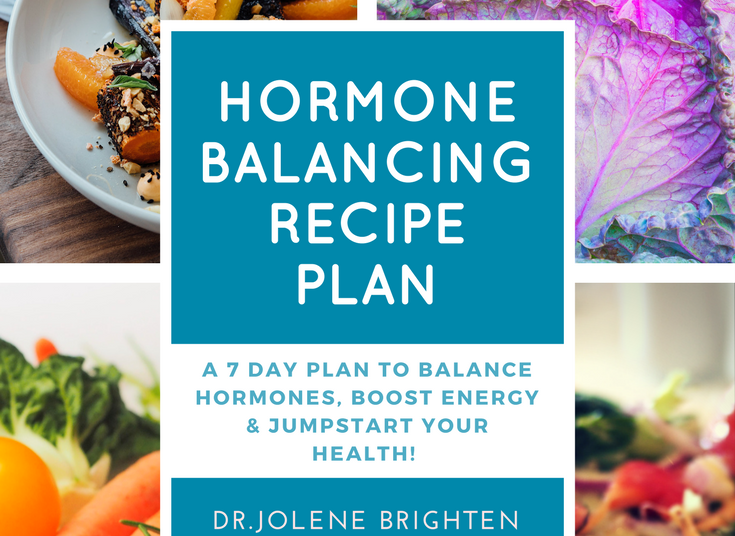 You can grab my free hormone balancing meal plan + recipes here. Wild Alaska Salmon is a great way to get in those much needed Omega-3 fatty acids. Anti-inflammatory prostaglandins (PGE1) are the end product of these Omega-3 fatty acids. PGE1 is linked to less inflammation and lower frequency of period pain (dysmenorrhea). In turn, there is a relationship between anti-inflammatory wild fish and period cramps, it’s a win! As far as dietary habits, there is an association with less frequent dysmenorrhea when there is a higher consumption of fish. Depending on the severity of your cramps (or your love of fish), you may want to consider a high quality Omega-3 supplement to support your cycle. If you don’t love the taste of fish, try making almond crusted salmon with lemon and homemade mayonnaise, these complimentary tastes pull away from the seemingly fishy taste. Read more about relief of cramps here. During our period we lose blood, which contains iron. Iron is a mineral that is essential for oxygen transport. When iron is low we can feel fatigued, anxious, lose our hair and our periods get much heavier. One way to ensure you have more energy on your period is to eat foods rich in iron and B vitamins (you need B6, B12, and Folate to make more red blood cells). If you're suffering from iron deficiency anemia then you'll want to check out this comprehensive article. You’ve heard it before and you’ll heart it again. Dark leafy green vegetables are filled with nutrients, essential minerals and other inflammatory-fighting compounds. These greens contain iron, a nutrient that is often depleted in women, especially when we’re on our period! Aside from iron, leafy greens are also amazing sources of magnesium, that nutrient we talked about above that make period cramps go bye-bye. Iron from leafy greens isn't as bioavailable as what you'll find in a piece of red meat, which means if you're iron deficient you may need to increase your meat intake or supplement with iron. I often recommend women who need iron supplement with a prenatal that contains B vitamins as well. We need more than just iron to build healthy red blood cells! Adding vitamin C rich foods to your greens can help you absorb the iron they do contain. Putting back greens doesn’t sound like a dream? You can always saute them, freeze them into cubes and add them into soups or smoothies. Beans like fava beans are a source of zinc and iron; both of which are essential for women’s health. As mentioned above, many women are deficient in iron and eating a diet rich in this mineral is essential. Sprouting reduces tannins, trypsin inhibitor activity and phytate all of which prevent us from fully absorbing essential minerals. You can soak beans, put them in a pressure cooker or crock pot and make them into a delicious soup or hummus! They even freeze well. Try batch cooking them to save time. Citrus fruits are an excellent source of vitamin C, a nutrient that facilitates iron absorption. Since some women experience low levels of iron, what a great addition to your diet. Symptoms of low vitamin C include fatigue, low mood, and depression. Vitamin C helps with energy production at the cellular level. Your adrenal glands, which are responsible for producing cortisol and other hormones, have one of the highest concentrations of vitamin C in the body. Your adrenals spike cortisol in the morning, which is why you wake up with energy. To do this, they need vitamin C! Look for organic lemons, oranges, limes and grapefruit. Then, you can eat them whole, juice them for shots or cooking and blend them into smoothies. This seafood is a great way to boost your zinc without ever taking a supplement. Studies have shown that zinc positively affects systems in our bodies like the reproductive, gastrointestinal and immune systems. 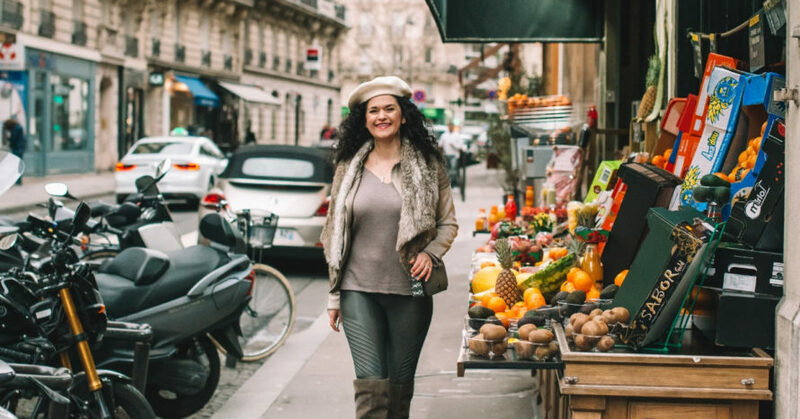 In addition, oysters are filled with healthy B vitamins that are essential when it comes to women’s health and a healthy and regular monthly cycle. Some women struggle with constipation during their period and regularly consuming fruits can help combat this! Fruits are high in potassium, magnesium, vitamin C and carbohydrates that’s coupled with fiber (how it is naturally without any processing). Bananas, watermelon, apples, berries, melon, avocado and the rest of the colorful fruits can be a great addition to your daily meal plan! You can add the fruits into smoothies, parfaits, oatmeal or as is. You can find many options for fruit in you local market, farmers market and even from online delivery services. If heavy periods are your issue, including iron rich foods as mentioned above is a must. 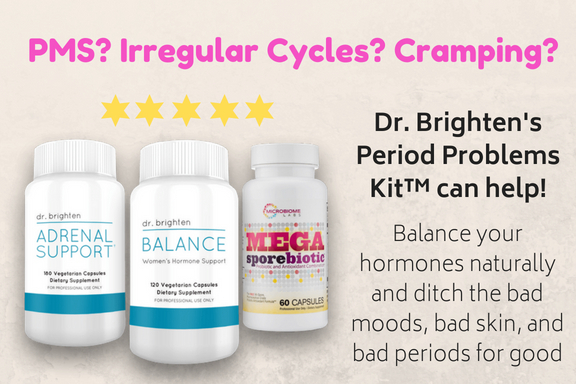 Sometimes our periods are heavy due to higher amounts of estrogen or the wrong types of estrogen metabolites. This brassica contains indole 3 carbinol (I3C) a compound that supports the body in eliminating excess estrogen. Too much estrogen can lead to tender breasts, cramping, clotted periods and many other common but not normal symptoms. Broccoli and other cruciferous vegetables support the liver and bowels in their elimination of estrogen. 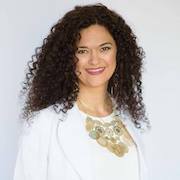 Broccoli is so effective at banishing period problems that I included it in my Balance—Women's Hormone Support supplement. Broccoli is also high in A, C, E, B6, magnesium, potassium and other free-radical scavenging nutrients. Try steaming your broccoli and having it with a little sea salt, pumpkin seeds and coconut oil. See the recipe below. If you're concerned about how broccoli and other goitrogens might impact your thyroid then you'll want to read this article. Protein has the benefit of keeping your blood sugar stable, which can help ward off those period cravings and keep your energy up. Grass-fed meats, pasture-raised eggs and chicken, organ meats, bone broth, wild fish, sprouted nuts and seeds and beans are food sources of protein. One trick I love is to have a chocolate protein powder smoothie blended with spinach, fresh flax seeds and raw pumpkin seeds. The chocolate is satisfying and the protein keeps me fueled! Here is the protein powder I use. Is Chocolate Good On Your Period? Well one thing is for sure, it tastes good and is often satisfying when period cravings hit! If you're craving chocolate, aim for a 70% or more dark chocolate, which will also provide you with magnesium and can help bump your “happy dance” neurotransmitters. Be mindful of the sugar and avoid chocolate that has high sugar content. If you're sensitive to caffeine, pay attention if dark chocolate contributes to anxiety. For women with acne as their main concern I advise staying away from milk chocolate and chocolate that contains dairy. Track your symptoms and see how you do. Staying in tune with your body will help you understand if chocolate is the best choice for you. Sugar, salty snacks, sweets, desserts, coffee, fruit juices and added fat are associated with dysmenorrhea in women. Overconsumption of these foods means there’s a decrease in nutrient-dense foods like greens, grass-fed meats, vegetables and fruits. Sugar can be found in fruit juices, candy, bread, pasta, condiments, baked goods, processed snacks and meals, supplements, ice cream and many other foods. Try making your own goodies at home without added sugar. Some women notice an increase in their anxiety when they consume sugar. Salty snacks include things like: chips, crackers, dips, fast food and fried food. Instead, try homemade almond flour crackers or homemade veggie chips. Coffee can be black, in lattes, frappuccinos, coffee flavored foods like ice cream, candy, shakes and more. There are many great caffeine-free alternatives to coffee like herbal teas, herbs and carob. 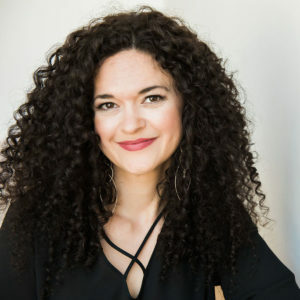 I share a list of coffee alternatives in Beyond the Pill to help you get that bitter fix without the cramps. This meal will provide you with fiber, B vitamins, and omega-3 fatty acids to help support your hormones! Need more hormone balancing recipes? Girl, I got you! Grab my free meal plan + recipes here!